I got together with some friends from my college years today. We usually have drinks when I come on vacation to Peru but today we changed our routine: we had some ceviche and seafood dishes! 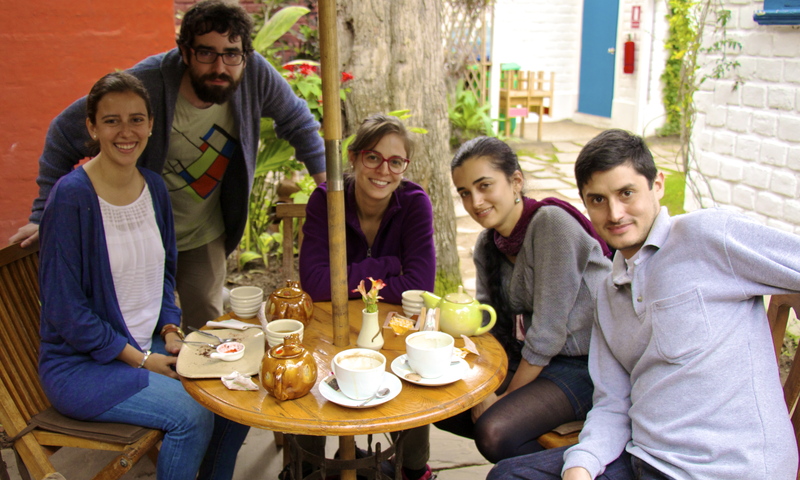 After such a Peruvian lunch, we went to a café in Barranco -La Bodega Verde-, where we had some coffee and tea, and talked about past memories, common friends, future plans, and so on.